Prior to this day, you may not have had too many occasions upon which you desired to purchase thrift store drapery, but that may be about to change. 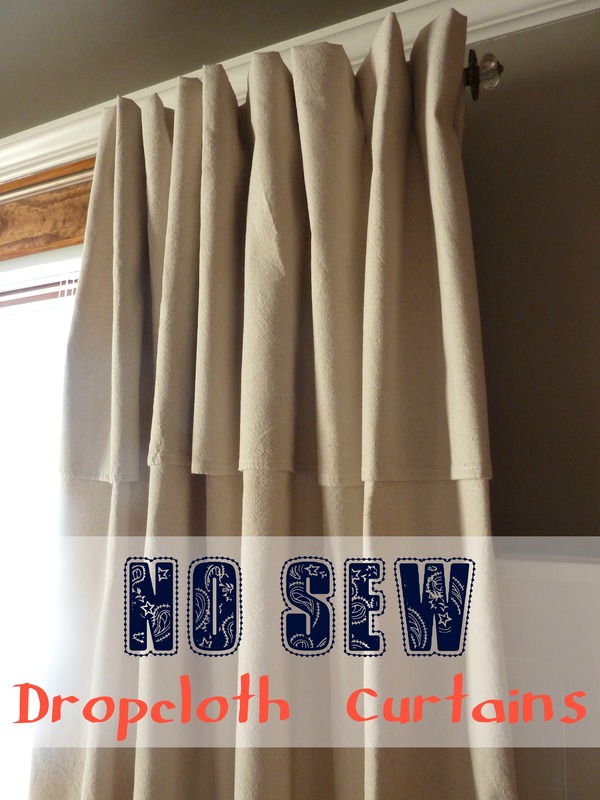 In fact, this very post may cause a run on thrifted curtains, so you may want to duck out now and grab some and come back to read this post later. Just saying. I purchased said curtain in preparation for the annual Christmas Craft Party where some friends and I draw names and then make our gifts for each other. 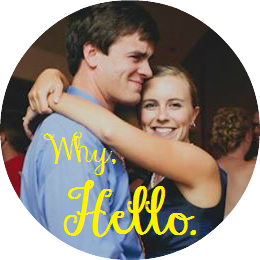 This year I had Hannah, for whom it is incredibly difficult to make something for, since she is very crafty herself. Despite being under a lot of pressure to create something awesome, I kept my cool and headed to the thrift store for these $2 curtains and then the craft store for a 2-yard length of jersey knit. 2 yards (off the wider 60″ type of bolt) ended up being exactly enough for 2 scarves, so if you attempt this project, plan accordingly. I first laid out the yardage on the floor to get a look at what I was working with. I knew I wanted the infinity scarf to wrap around twice, so I figured I had enough for two and cut it in half the long way and the short way to get 4 pieces total, 2 for each scarf. Then I sewed each piece into a tube, but on one piece, I sandwiched the lace inside. Next I sewed the two tubes together on one end, catching the raw edge of the lace in this seam. I actually used pins for this–usually I grab the devil by the horns and just go for it without using pins. Surprisingly, pins help a lot. Here’s a pic of the tubular shape and the lace curtain to be sewed in. Next I had to connect the two ends of the tube together. This step sorely tested my logic skills, and I’m not sure I can explain how I did it, but I shall attempt to nonetheless. You won’t be able to sew the ends of the tube together entirely, since you need to do it from the inside of the scarf (unless you’ve somehow invented a way to do sew while inside an object), but you can get a good three-quarters of the way around . And the you’ll shake things out and just be left with a smallish hole, which I then stitched shut by hand from the outside of the scarf. Finally, I modeled the finished product and deemed it super-cute. I really really wanted to keep one of the two that I made, but after stroking each scarf both lovingly and bidding a fond farewell, I gave one to Hannah and the other to my sister Sara for Christmas. And no, I didn’t do my hair that day. It was a Saturday. Just pretend it looked awesome, okay? Thanks. Oh, and does anyone else have the problem of wanting to keep gifts you make or get for other people for yourself? I can’t be the only selfish one out there, right? Categories: DIY, Uncategorized | Tags: curtains, infinity scarf, jersey knit, lace, repurposed curtains, Scarf, sewing, thrift store, upcycle | Permalink. Neato!! I still couldn’t make that, but it looks great!